Our Message Service is designed to give you maximum calls with a budget price tag. Calls are answered by our friendly, professional receptionists in your business name, with messages sent by SMS and / or email to you 24/7. Unlike our competitors, we brag about our quality of service. 93% of all telephone calls are answered by our receptionists in less than 10 seconds! Do not leave your callers waiting. Sign up for a Free 7 Day Trial and experience the difference! Message Express operates 24/7, 365 days per year. It only takes a few minutes to set up. We offer a no obligation FREE 7 Day Trial so you can put our receptionists to the test. This is no ordinary Telephone Answering Service. We can be answering your calls and sending you messages in two minutes from now! Click on the FREE 7 Day Trial link or call us on any of our sales numbers where we can answer your questions and talk you through the set up which takes just 5 or 6 minutes. Like our Virtual Receptionist service, for our Message Service there is no need to change your existing phone number, which you may have had for years and which appears on your business cards, stationery and web site. Simply divert your existing telephone number (1800, 1300, 02, 03, 07, 08 or your mobile etc) to the phone number you allocate yourself instantly in the Free Trial set up process and we will be answering your calls instantly. It is that easy. If you do not have an existing business telephone number that is fine. Simply advertise and use the local phone number that you allocate yourself instantly during the FREE 7 Day Trial Telephone Answering Service setup process. When callers call that phone number, we answer your calls and send you your messages instantly. You can have multiple local telephone numbers if you require a "national presence" or separate numbers to measure the success of particular advertising campaigns. Our professional Phone Answering Services will make a difference to your business as you will never miss another call. We pride ourselves on the quality of service we offer. We are confident that you will see first hand why this is no ordinary Live Answering Service. From the professionalism of the receptionists to the time it takes us to answer calls and send you your messages, you will be impressed. 93% of all calls are answered in less than 10 seconds. Messaging Services / Answering Services are in abundant supply but do not rely on other Message Services. Do not leave your callers waiting in a queue! Put us to the test with a no obligation FREE 7 Day Trial. If you wish to continue with our 24x7 Message Express Message Service after the free trial we simply obtain your credit card details and upgrade you to a paying subscription. You retain the same phone number/s after the free trial. Apart from becoming a paying customer, nothing else changes. 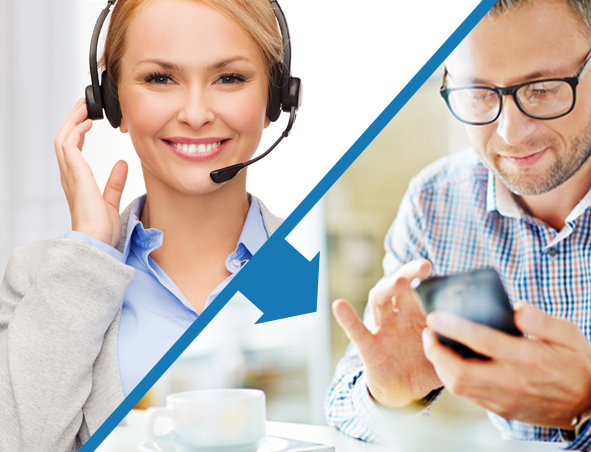 You can upgrade from the Message Express Messaging Service to the Virtual Receptionist Live Answering Service at any time if your needs change (e.g. you would now like our receptionists to introduce and transfer calls to you and your staff rather than simply take and send you a message). You can use our Messaging Service whether you are based in Australia (Sydney, North Sydney, Melbourne, Canberra, Brisbane, Gold Coast, Adelaide, Perth, Hobart or anywhere else) or overseas. With over 50 business centres nationally you can also add a Virtual Mail Address to your Message Service subscription giving you a total Virtual Office solution. Take your paging service to the next level by experiencing our elite Message Express service with Virtual Headquarters. Your callers will get to experience the first class customer service they deserve with our Australian based receptionists answering your company calls perfectly and promptly every time. In fact, 93% of all telephone calls are answered by our receptionists in less than 10 seconds. Paging systems have limitations. In today’s competitive business market, it is so important that you differentiate your business from the rest. Paging services can hold your business back from creating a truly professional business image. With a pager, your callers don’t receive the important first impression that is created by our highly trained Virtual Receptionist staff. However, with our elite Message Express service, your company calls are answered with a personalised greeting by one of our highly trained and friendly receptionists. These messages are then sent to you by SMS and/or email so you never miss any calls while upholding a professional image for your business. Our message service is the perfect solution for any business that requires a professional receptionist to greet their customers and take detailed messages. It is vital that you build a strong foundation with customers from the start. The first step in this is ensuring that you never miss an important call. Just like most paging services, our premium Message Express service is run 24 hours a day, 7 days a week with the added kicker that our professional receptionists will allow you to build and maintain a strong reputation for your business. What makes our Message Express service so unique? Like our first class Virtual Receptionist service, there is no need to change your existing phone number, which you may have had advertised on your business cards and company website for years. For us to answer your calls simply call forward / divert your existing company telephone number to the phone number we allocate you in the FREE TRIAL or if you are a start up business and do not have an existing phone number, simply use the number we provide you. It's included for free as part of your service. We understand that running a business is demanding and requires a lot of time and commitment. Let us help you develop a strong client base by handling your customer enquiries in a professional and seamless manner. We are so certain that our Message Express Service is one that will help generate a higher professional image for your company that we offer a no obligation FREE 7 day trial. It is clear that our elite Message Express package offers all the benefits of a paging service plus many more. Experience for yourself how our Message Express service at Virtual Headquarters can improve the efficiency, productivity and professionalism of your company. Does your business currently use a paging service to ensure you receive messages instantly? With Virtual Headquarters you can obtain all the benefits of a paging service while also establishing a more professional business identity given the friendly, professional nature of our receptionists. With years of industry experience, we know that great customer service will help drive the profits of your company. Take your business one step higher and experience our state of the art live answering message service today. We ensure that you will never miss an important call again! Unlike a paging service, our Australian based Virtual Receptionists answer your calls with a personalised greeting to ensure your customers feel valued. Instead of wasting your time answering unwanted calls, you can be assured that our Message Express service will enhance the efficiency and productively of your company. You will have more time to work on your business instead of in it, enabling your business to grow as well enable you to be more efficient and productive. Give your business the success it deserves by allowing our company to provide you with a first class message service experience. Your customers will feel welcomed by your company every time we answer the phone. Are you looking to increase the national presence of your business? Don’t limit the growth of your company by only utilising our message service. While we can provide you with a 1300 number or local numbers in all states of Australia, why not expand your business prospects by adding a Virtual Office Address in one or more states to dovetail with our messaging service? Whether your Virtual Office is based in Sydney, Melbourne, Brisbane, Adelaide or Perth, we can provide you with a prestige address along with our 24/7 Message Service for 365 days of the year. Give your customers the impression that you are a large business based in multiple states across Australia! Take advantage of flexible, cost effective virtual office services to grow your business. Our virtual services are perfect for a range of professions such as photographers, health practitioners, lawyers, trades people … any business at all really. With Virtual Headquarters we are so much more than just a paging service. We can become a real enabler for you to grow your business by accessing new markets you did not think were possible. Does the success of your business depend on you receiving messages constantly? Does your company require a team of highly trained, professional Australian receptionists to answer your company calls? Look no further then than our team of mature receptionists who will make your customers feel valued and listened to 24/7. Just like a pager, our exclusive Message Express service provides a quick, economical and reliable form of communication that ensures you receive your messages instantly. However the benefits of our premium Message Express service are far superior than your ordinary paging service. We ensure that every caller is personally greeted by a fully qualified, friendly receptionist, enhancing the image of your company. Our experienced receptionists politely answer your company calls and take a detailed message that is immediately sent to you or a staff member via text message, email or both. Never miss the opportunity to build a strong relationship with a customer again! We have thousands of clients located across all major cities within Australia, such as Sydney, Melbourne, Brisbane, Perth and Adelaide. This provides you with the perfect marketing strategy opportunity to increase the perceived size of your business. Instead of just having one phone number Australia wide, why not have multiple numbers across many states? Your clients will have no reason not to believe that your business is not national! Forget the old paging system and update your business presence using our premium message service with numbers across Australia. It doesn’t matter whether your company is comprised of only a few staff or hundreds of employees. Our Message Express Service provides your customers with first class customer service 24/7. Our professionally trained, Australian based Answering Service receptionists are dedicated to ensuring your business receives premium customer service with every call. Our superior service is designed to give you maximum calls without the heavy costs associated with a traditional receptionist. Instead of routing through unwanted messages and calls, we guarantee that you will find more time to work on growing your business instead of working in it. Our highly acclaimed Message Express Service is perfect for many self employed individuals as well as large business corporations. From a successful tradesman who may not be able to answer their phone while working on a current job or a top lawyer who is always busy in meetings with clients, we guarantee that our elite message service is way more than just a pager service. It provides you with the opportunity you need to enhance the success, productivity and professionalism of your business. Experience what it is like to grow your business by enjoying a FREE 7 DAY trial today. It takes a minute to get set up and we can be taking your calls. Click FREE 7 Day Trial to instantly set up your no obligation FREE Trial. In five minutes we can be answering your calls and you will experience first hand why not all Answering Services are the same!